I have the pleasure to host Petros from Freelab from Lublin in Poland. He is travelling Norway in search of positive and inspirational commons projects of all kinds. People warned me he might be a fortune seeker, but I’ve come to learn he’s true, and not at least a very important evangelist of the commons. When I learned he has cooperated with international “stars” like David Bollier, already translating his new book Think Like a Commoner into Polish language, making it downloadable for free, I was amazed about his efforts. Yesterday he found the book Creating a Life Together by Diana Leafe Christian in my bookshelf, and he behaved like he had found a diamond, wanting to translate this book into Polish as well. It’s a big inspiration to have such a devoted commoner visiting you, as the market thought and individualism is about to suffocate Norway. Petros visited me on the recommendation of Michel Bauwens, and he thought I had some interesting projects going on. I was sorry to disappoint him. My most important project is to set up a number of articles at Kulturverk.com, which I eventually hope to work into a book about a new ingroup society based on an idea by Terje Bongard. But I’m happy that I can offer him an excellent weather at his stay here. Me: You told me that you were a rich man with your own company in software and internet security, but that during the financial crisis you went bankrupt and lost everything, including your house and your wife. From what I understand this experience has changed your life dramatically, and eventually inspired you to devote your life to the worldwide commons project. Can you tell me more about this experience? Petros: Actually I already had a plan to sell my company some day and to turn towards social activity. Many entrepreneurs share such dreams. In 2011 I became financially broke, but I did make it through this period of time thanks to my partner Natasha, who I do now live with. Then we decided to turn this situation into an opportunity. One has to have a clear goal for one’s life. We didn’t want to leave Poland for search of a better life, but to stay here doing something good for our community. One should not engage in any kind of criminal activity, so to keep the moral and personal integrity intact. One should search for kindred spirits and cooperate with them, as no one will survive alone. The good thing about losing everything is that it forces you to become flexible and to search for new opportunities. Many people become stuck in life, and having money and a comfortable life keep you from taking chances. Me: Can you tell a little about your community in Poland? Petros: In September 2013 we joined a newly established urban community, known as the “Independent Social Center Cicha 4″ (http://Cicha4.org). The goal of Cicha 4 is to provide space and facilities for all off-mainstream groups in Lublin, trying to develop freedom-oriented, noncommercial initiatives. This is 100% informal community, with no external financing, except from the member groups’ contribution. Our role was to support the adaptation and maintenance of the building, supervise it over the winter, as well as to help the community grow and stabilize. We achieved it with certain amount of personal struggle, and now the growing group of young people will take it over, leaving us free to follow our new projects. Me: You mentioned there is a difference between your P2P (peer to peer) – approach and the one of Michel Bauwens. Can you specify this? Petros: With Michel, as I see it, we are working on the same issues, but from opposite angles. P2P approach focuses on (loosely understood) the production area, only indirectly influencing social life beyond that. It says, sort of, “let’s make automobiles, or launch satellites, the better, more humane way”. Of course, if people change the way they interact in the production area, they consequently will change the way they live the rest of their lives. My approach (we consider it “anarcho-positivism”) goes the opposite way. Beginning from the “ex-work” social life, we try to establish – for each given community – the way to fulfill its members’ needs. Some of them can be fulfilled through the community-managed consumption (traditional commons: water, wood, food); some – by the way of prosumption (distributed generation of electricity); some, finally, via P2P production and exchange of goods. However, to us, the primary factor is the desired structure of needs. Of course, what we do at Freelab is much less advanced or expanded than what P2P Foundation does. I admire Michel’s energy and efficiency – we could use somebody like him in our anarchopositivist movement as well. Me: The encapsulation of the former fishing commons in Norway is a disaster, as they are more and more held by a few companies and billionaires. There's a revolt against this tragedy among the coastal communities these days. Before you arrived here you had been to the area of Flekkefjord in Southern Norway. I’m happy to learn that they have not yet managed to kill of the communal spirit of the old fishing communities. Can you please share your most important observations seen from a commons perspective? Petros: I visited a couple old fishing places in Southern Norway and realized that the only part of the industry that is still alive is the angling trip organization. One of the old fishermen told me that now the biggest catch in his nets is always a fresh set of fishing hooks that the German anglers lose perpetually. “We do not buy hooks anymore.” he said. But this is not enough to save the traditional fishing in Norway. As long as there is no way for a fisherman to sell the catch directly; as long as local fish stores lose their market to networked hypermarkets; as long as the local community has no say about local pooled resources, there is no hope. To me, as a commoner, cooperatist and anarchopositivist, it is quite obvious that some sort of revolution is needed. Local resources should be returned to local communities. Fishermen’s cooperatives should be formed and should be given the right (and responsibility) to manage fishing areas, with the priority of rebuilding resources and keeping them sustainable & resilient. The fishing quota should be locally defined – with some help from scientific experts – and distributed. Most of the technological processes should be performed locally (food is considered local if it travels not more than 80 km between the producer and final consumer). Only highly processed products should leave local community areas. Cooperatives should take over the whole vertical chain of production and distribution. This will keep money and management close to the source of goods – and to the people. This is the approach we applied in our concept of the industrial hemp reintroduction in Poland. And it works very well. In this kind of revolution, money would flow, instead of blood. But I believe, as it concerns the most traditional and culturally important industry in Norway, it would be a really good way to spend some oil money to support local communities throughout the country. Here in Norway it is almost completely illegal to form the world in your own true image. We might call ourselves a free country, celebrating the 200-years anniversary for our constitution this year, but as we on a community level are not free to form our own environments, we are in my opinion not free at all, or at the best only half free. Do you agree that this freedom to form your own community physically is of the uttermost importance to creating a new realm of the commons? Petros: On this issue I have mixed feelings. We are all interdependent, so the “absolute freedom” – especially in the space shaping – is dangerous. The Lockean concept of property “absolute, despotic domain over something” became the core of the market nightmare we are trying to awake from. However, as an anarchist, I fully support the position, that the state should not be allowed to intervene, at least as long as the local community can manage things. As David Bollier brilliantly points out, there are several levels of commons, and we have yet to develop ways of managing them all. Let’s consider water. There is an irrigation system (the common resource), managed by a community. But there is also a river, which is the source of water for several irrigation systems and which is a commons in itself. Then, we have the drainage basin, feeding the river, comprising also several various common-resource systems. They are all heavily interdependent. So it is a governance problem, how to distribute freedom (or its constraints) evenly – or justly. David Bollier develops a very interesting concept, involving the state as a guardian of the commons. I am less enthusiastic about that. But I admit that the problem of interdependence is probably the biggest issue we face in the commons movement. I want to add that Petros has not read Alexanders A Pattern Language. In it Alexander makes a system where the lower patterns are connected to patterns of higher order, just like the small creek is connected to the river, the lake and eventually the whole watershed. When a community follows the Pattern Language there’s no chance it will harm the larger community. If it harms the community they are applying anti-patterns, something that should not be allowed. 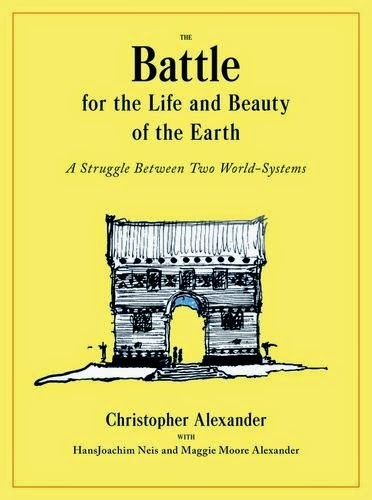 In Alexander’s latest book, The Battle for the Life and Beauty of the Earth, he shows how they used the Pattern Language to engage the whole school, teachers and students, to make a beautiful pattern language as the basis for the construction of the campus. Me: You have also been to Greece. As I see it their crisis has made them long and reach for the commons, while Norway’s wealth and self-confidence rather has made us leave the commons. In spite of Greece’s crisis, do you think Greece is heading for a better future than Norway in the long run? Petros: Assuming we share the same meaning of the word “better”, I would say that close cooperation would benefit both sides. Greece is right now a bustling social laboratory, with hundreds, if not thousands of various initiatives – not just in the commons area. Studying them and learning from their successes (I am less interested in failures) would give an edge to Norwegian future initiatives. In Greece there is a growing theoretical reflection upon their grass-root experience. And they definitively could use some scholarship money in this area. If Norway can import so many goods, why not import some useful knowledge, for a change? Me: What are the plans for the rest of your journey throughout Norway? Petros: I plan to stay in Norway till September, with occasional trip to Sweden, perhaps. Later, if my talk is accepted, I will also attend the conference “Enlightened Anarchism” in Lapland University, Rovaniemi, Finland. Until then, it all depends on funding available. 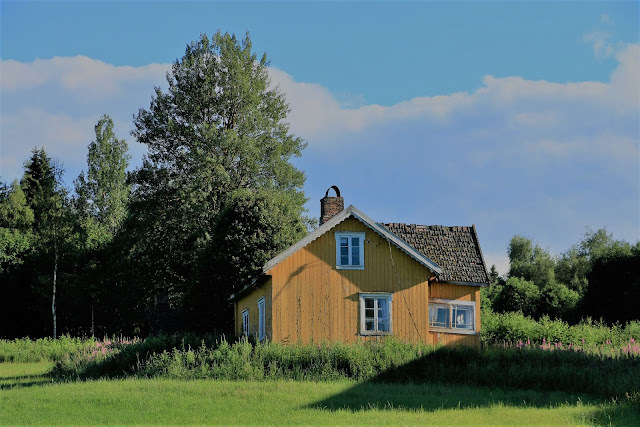 My basic plan is to stay around Gjøvik for at least a couple weeks, getting involved in local community life (I plan to take part in certain “dugnad” activities). If I raise enough money, I will then head North, at least up to Trondheim. If I am extremely lucky in earning money, I would also like to see Tromsø and northern communities, before I leave. But even if not this time, I already know I will return next year to continue my fascinating Norwegian adventure with the commons and grassroots communities. 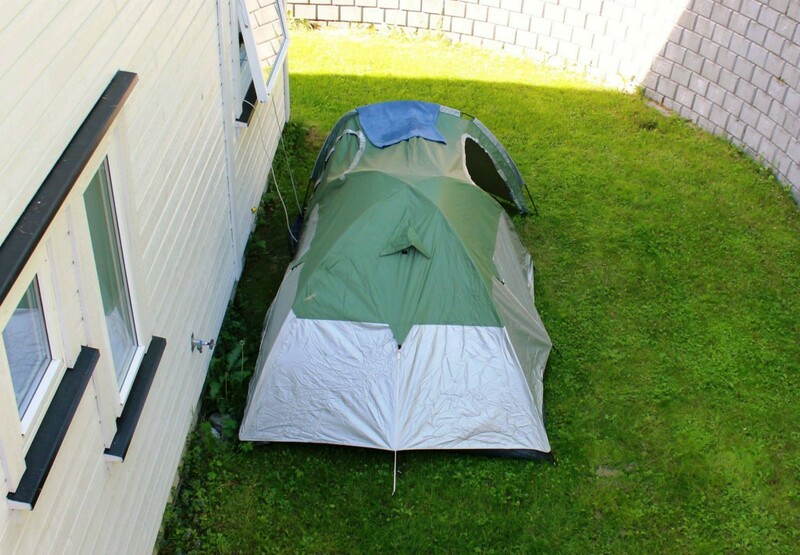 Follow Petros journey through Norway here. Puplished at Resilience.org, USA, on June 10, 2014. Published at P2P-Foundation on June 7, 2014.